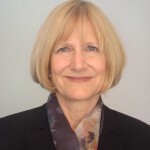 On May 5th 2015 Jewish Voices for Peace wrote a letter to Alison Weir, of the organisation If Americans Knew, informing her that JVP would not work with her on account of the fact that she has repeatedly appeared on the radio show of a white supremacist and anti-Semite, Clay Douglas. JVP wrote that ‘Your troubling associations and choices further include giving interviews to a range of far-right outlets including The American Free Press, which the Southern Poverty Law Center has identified as a hate group, and the anti-gay, anti-Jewish pastor Mark Dankof. One of your articles appeared in an anthology that was promoted by the infamous Holocaust-denial organization, the Institute for Historical Review. We see no evidence that you have disavowed any of these outlets or institutions…. At Jewish Voice for Peace, we are particularly sensitive to the long history of anti-Jewish oppression as well as the ways that Palestinian liberation work is frequently tarred with false charges of anti-Semitism. Alison Weir’s defence is basically that she will speak on any platform, including that of white supremacists. It is suggested that it is McCarthyist ‘guilt by association’ to tar her with the same brush. However if you lie down with a dog you will end up with fleas as the old saying goes. To associate with those who believe in white supremacy and anti-Semitism in the name of fighting Zionist racism makes no sense and can only be counter-productive. 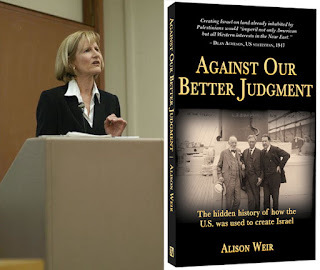 Alison Weir may indeed be dedicated to Palestinian rights (unlike Gilad Atzmon), she may even be sincere, but as long as she associates with virulent racists she is damaging the cause of Palestine. An Open Letter in support of Alison Weir has also made an appearance. Included on it are some of the same signatures that signed a similar letter from Atzmon and Mary Rizzo attacking me some years ago. These include: Richard Falk, Mazin Qumsiyeh, Samir Abed-Rabbo, James Petras, David Rovics, Geoff Blankfort and Paul Eisen of Deir Yassin Remembered, whose Holocaust Wars was an open defence of the neo-Nazi Ernst Zundel, who was imprisoned in Germany for holocaust denial. Jewish Voices for Peace is a very valuable organisation. It has opened up a chink in the hegemonic support of the American Jewish community for Zionism and Israel. It has over 40 chapters and has mustered over 100,000 signatures for a petition. It has steadily moved to an anti-Zionist position and it endorses BDS. If JVP feels the need to dissociate itself from Alison Weir, no sincere supporter of Palestine solidarity should have second thoughts about supporting them. 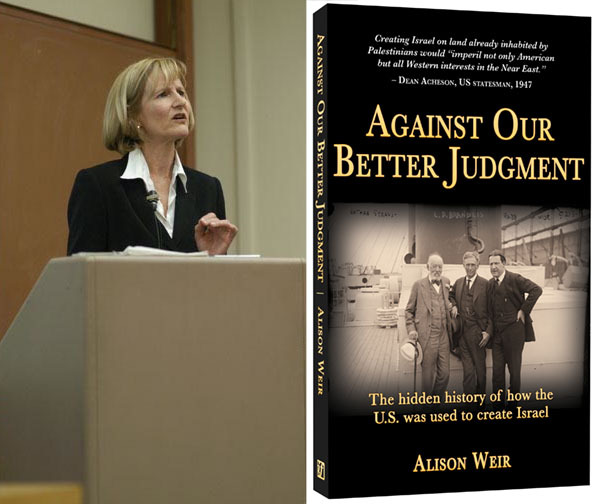 If anyone needed any convincing, then the article by Gilad Atzmon in support of Alison Weir ‘The Protocols Of The Elders Of ‘Anti’ Zion: JVP vs. Alison Weir’ should convince them.